Wind being another form of solar power is a rich and productive source of renewable energy. Wind flow, however, owes its origin to the several geographical and environmental factors like, rotation of the earth, the varying topographical forms and thus the differential heating of the earth’s surface by the sun’s rays. The flow of wind is essentially a kinetic energy which is harvested into mechanical power or electrical. This conversion of the kinetic energy into different forms of power is called wind power. Wind energy is machinated into mechanical and electrical power by two majorly used devices like wind mills and wind energy turbines. This wind power is being used diversely nowadays. 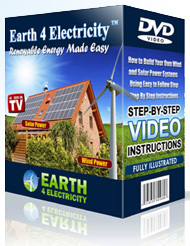 Now how does wind power work is a very interesting and critical topic of discussion in this era of power conservation. The two main devices mainly deployed for generating power from the wind resource are wind turbines and the windmills. Windmills are used to harvest the wind resource for mechanical power like pumping water or grinding cereals (majorly wheat) whereas the wind turbine is used to generate electric power. To understand how does wind power work we need to hash out the details of the wind turbine mechanism. Broadly classified into vertical axis and horizontal axis types, the modern wind turbine uses high tech materials and advanced design principles to capture the moving air convert its forces into electricity. A typical wind turbine resembles the aircraft propeller blades that turn in the direction of the moving air. The movement of the blades mechanically gyrates a shaft. This shaft is connected to a generator which produces electricity. Depending upon their various available sizes wind turbines can be of different power ratings. The power ratings are pretty much dependent on the available wind in an area and its speed as well. The calculation goes like this: “the energy in wind is directly proportional to the cube of the wind speed.” Thus a stronger wind signals a lot of power. To interpret the regeneration, use and application of the wind power, we, by all odds, need to understand this solar energy as a resource. As stated above lets throw some more light on how at all wind is generated in the earth’s atmosphere. The sun’s rays heat the different surfaces on earth like the water bodies, land and air differently according to their varying propensities to absorb heat. Besides, there exists a constant temperature difference between the equator and the two poles of the earth. Now the hot air at the equator expands, becomes less dense and rises which is then replaced by the cooler, denser air from the two poles. This movement of the cooler, denser air to fill in the vacuum created by the upwardly moving hot air creates a convectional current called wind. In a word, wind can be called as earth’s circulatory system that circulates energy from the warmer regions to the comparatively cooler realms. This energy when managed by harnessing reaps mechanical power, popularly known as wind power. Now how does wind power work in a particular area, economically, solely depends on the wind resource of that very area, which means the available amount of wind that sheathes that area all round the year. Wind power: advantage or disadvantage? To realize the fact that exactly how does wind power work for us we need to hash out each and every pros and cons of this advanced application of modern technology. The first and foremost and perhaps the greatest advantage of wind power is that it is a non-polluting resource that is free and can be renewed ‘n’ number of times. The electric energy that is generated is also clean and non-polluting. Compared to the traditional modern power plants windmills produce NO greenhouse gas or air pollutants. Apart from saving power, windmills are also easy on your pocket as compared to the fossil fuel plants since the former have a minimum life-cycle cost like no fuel purchasing and minimum operating expenses. However, the concerns like noise pollution (generated by the rotor blades), visual impact and avian mortality (bats and birds being killed while flying into the rotors) are been taken care of by wisely locating the wind plants and technological developments. The biggest disadvantage seems to be the intermittent supply of the wind resource. Intermittent because all winds cannot be harvested to generate electricity as and when required. Also often the right wind plant sites are much away from the area that requires the electricity like the cities. In spite of the modest disadvantages discussed wind power is gaining much popularity amongst the environment conscious citizens and is thus the buzz word in this modern era.